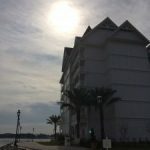 A trip to a Disney Park is always filled with magic, but for those that like to extend that magic throughout their entire vacation, I always recommend staying at a Walt Disney World Resort hotel. 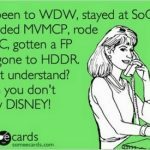 Our family enjoys staying on property so much, that in 2009 we joined Disney Vacation Club (DVC). 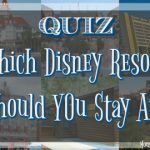 Our home resort is Disney’s Animal Kingdom Villas, and it is not just our “home” away from home, but our absolute favorite Disney World Resort! Animal Kingdom Villas are part of Disney’s Animal Kingdom Lodge, set on a 43 acre wildlife preserve on the south side of Disney property. Over 30 species of animal roam the savannas. Villas are available as Deluxe Studios, 1 and 2 Bedroom Villas and Grand Villas that sleep up to 12! Deluxe Studios have a kitchenette, while 1 Bedroom and larger Villas have a full kitchen, washer and dryer. One of the advantages of Animal Kingdom Villas is the wide variety of room types and locations available. In additional to the room size, you can also choose from value rooms at Jambo House which have a smaller square footage but are a great bargain, standard view rooms, savanna view rooms and even concierge level accommodations at Jambo House. Villas are found at both the main lodge, Jambo House, and at adjacent Kidani Village. The Jambo House rooms were converted from traditional resort rooms, but Kidani Village was built specifically as villa accommodations. Animal Kingdom Lodge is arguably one of the best themed resorts on property and Imagineers have done everything in their power immerse the guest in the feeling that they are no longer in Florida, but at a far off African lodge. Stepping off the bus after a busy day in the parks, you are welcomed home by quiet lantern light, tropical flora and the sound of distant drum beats. Inside the theme continues and the resort boasts one of the largest collections of authentic African art outside the continent. 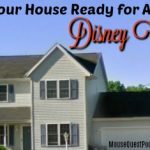 No resort is perfect for every family and the two biggest concerns families have regarding Animal Kingdom Villas are that the decor and lighting are very dark and that some of the savanna view rooms can be an exceptionally long walk from the lobby. Personally, I find the deep hues of the resort to be restful, and that long walk means an extra Dole Whip, right? It is often joked that after parents put buckets of money and effort into a Disney vacation, all the kids want to do is swim at the resort. 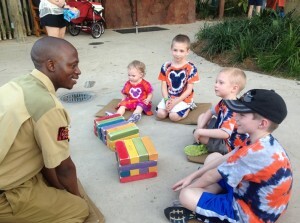 This may be a definite risk at Animal Kingdom Villas! Pools at both Jambo and Kidani feature a zero entry area, water slide and hot tub. Kidani Village offers an interactive water play area with a small slide, climbing and splashing areas, even a spot to have a water fight with your siblings! I have found this play area to be wonderful for our children as toddlers. I could stay with them, but let them have a little more independence than I would in the pool. Cast Members from Africa are available on the rock outlooks as animal guides and lead numerous educational and cultural activities during the day. One of the perks of the resort is the sheer number of activities that are available. Culinary tours of the restaurants, an evening drum lesson, folktales in the library, poolside evening movie, conservation games for the kids, the traditional afternoon pool party and crafts and games available in Community Hall are just some of the offerings. Food options at the resort are plentiful and a nice change from traditional theme park menus. There is one quick service eatery, The Mara, and it is located at Jambo House. Also at Jambo House are two table service restaurants. Boma is a buffet that is considered to be one of the best on property, and Jiko is one of Disney’s signature dining experiences. Kidani Village is home to Sanaa, a hidden gem among table service restaurants. The bread service is highly recommended and windows that overlook the savanna add to the experience. It is often available without a reservation! While Animal Kingdom Villas are located on the southern side of the property, don’t let the distance dissuade you. We have found the bus service to be excellent, and the overall bus journey is similar to that of other resorts where the bus makes more stops. When booking your next Disney vacation consider Animal Kingdom Villas, where you can take a journey into African culture with all the comforts of home. We are already anxiously awaiting our February 2015 trip home! A mommy of four by day and a labor and delivery nurse by night, Kate believes a little dose of Disney makes every day better. 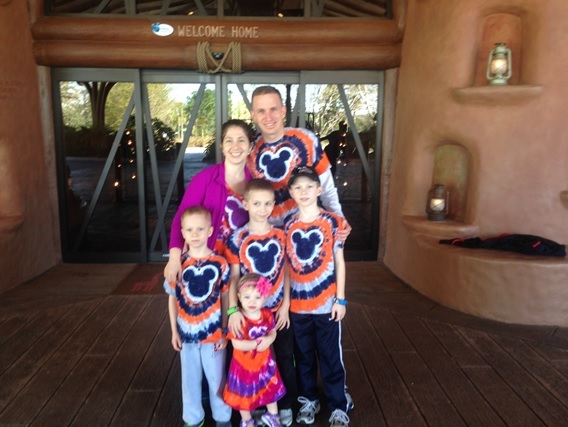 Kate is a lifelong Disney fan and after introducing her husband to the magic of Disney Parks, their family became Disney Vacation Club members in 2009. 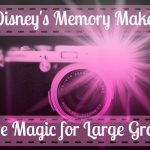 You can find Kate as a guest here and on the MouseQuest Podcast, writing for the WDW Daily News newsletter and on twitter at @Dizkrazkate.